Aloe Vera -Nature’s Miracle Plant!!!! Aloevera-Nature’s Miracle plant that has been used for millions and million of years ….Why??? ?Simply Because it works!!! Aloevera looks like a cactus,but actually isn’t-It is scientifically known as Aloe Barbadensis,and actually belongs to the Lily family like the onion and garlic which are also known for their antiseptic and anti inflammatory properties.Inside the green leaf is a transparent jelly like substance or gel which can be easily be scraped out.Early users of Aloevera gel(1500 BC) discovered that when it was applied to a wound or burn,it healed faster&left no scars-an invaluable aid in a world where even minor wounds could prove fatal. 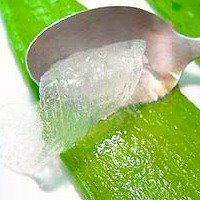 Cut an aloevera leaf towards the base of the plant,wash well and keep immersed in water overnight to remove any impurities like aloin.The water may turn yellow or pink overnight.Discard it,wash the leaf again,and peel off the green surface.Scrape and Use only the transparent gel inside.Apply to the skin for 15-20 mins,and then wash off. Although aloe is ninety-nine percent water, it also has more than 200 active nutrients and elements that support good health. 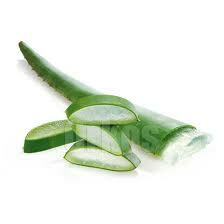 Today there are over two hundred scientific research papers outlining the therapeutic benefits of aloe vera juice gel. Studies confirm that aloe vera gel heals the skin with its anti-inflammatory properties, burn healing capabilities and ability to decrease the effects of scars and wound.Hence Aloevera gel is an effective home remedy for a wide variety of skin concerns,and allergy to aloevera is extremely rare. ANTIACNE-Reduces and prevents Acne-actually reduces pain with natural anti-inflammatory agents&is antibacterial. SOOTHES SCRATCHY SKIN:Removes dead skin cells ,and moisturizes by keeping the skin flexible and supple.